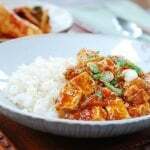 Need another tofu dish? 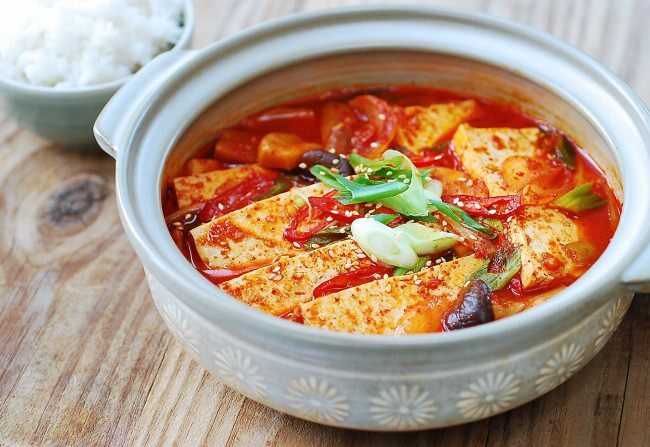 Dubu jorim (braised tofu) is a popular Korean side dish which is typically pan-fried and then braised in a soy sauce-based sauce. 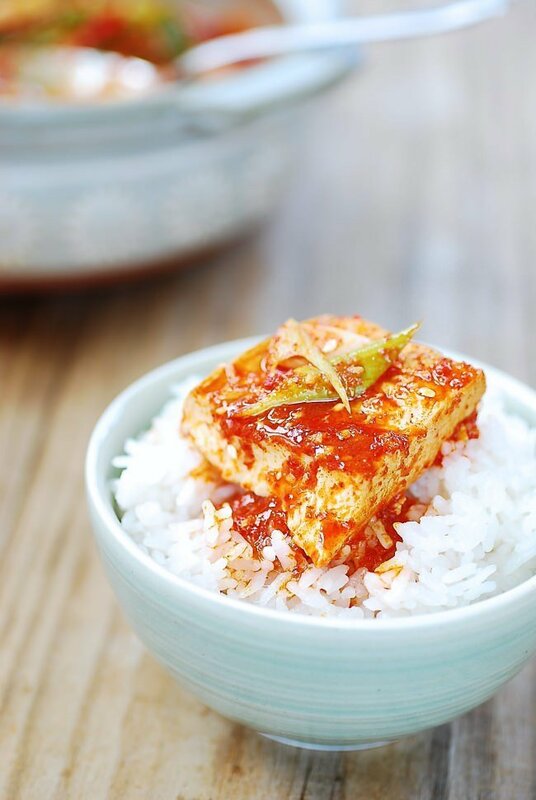 This spicy braised tofu doesn’t require pan-frying and uses a lot more liquid. 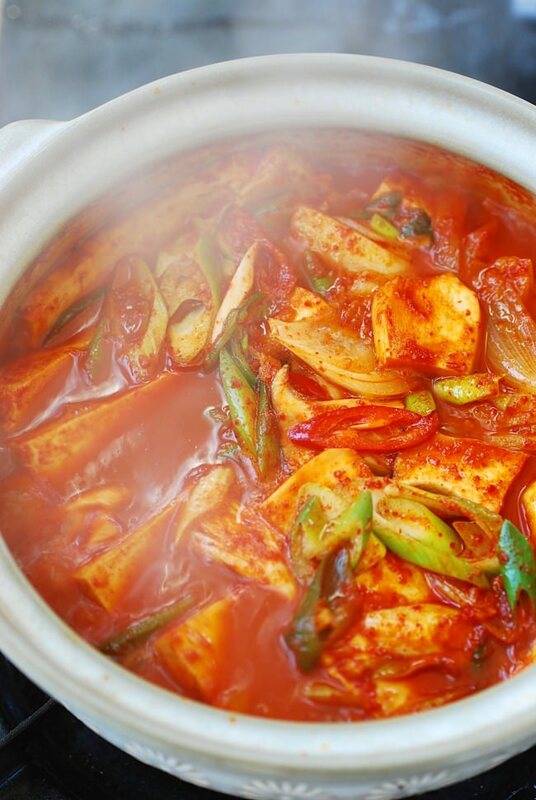 It resembles a stew (jjigae, 찌개), but is not a jjigae as the term is used in Korean cuisine. This dish is totally fine just with the onion and scallion, but I also used mushrooms and a chili pepper in this recipe. I sometimes add a little bit of thinly sliced Korean radish and spread in the bottom of the pot before adding the tofu. For the liquid, I usually use anchovy broth. Dashima broth is a good option for a vegetarian dish, but water is fine too. If available, a little bit of salted shrimp (saewujeot) will give an extra boost of umami. The perilla oil makes this dish extra earthy and rustic. It’s distinctly nutty with a hint of minty flavor similar to that of perilla leaves and commonly used in country-style and temple cooking. 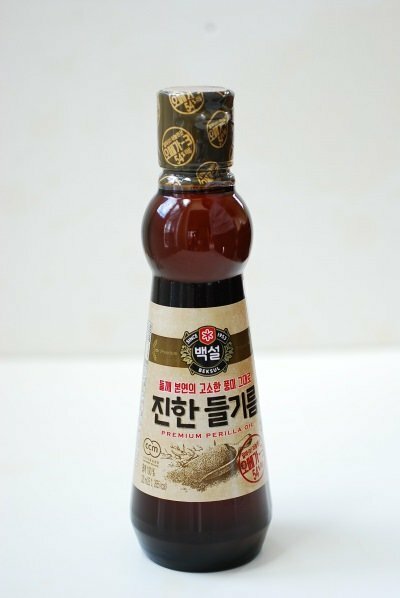 I love perilla oil and use it quite often in various dishes such as namul and stews. 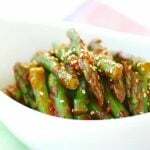 If you don’t have it, use sesame oil instead. 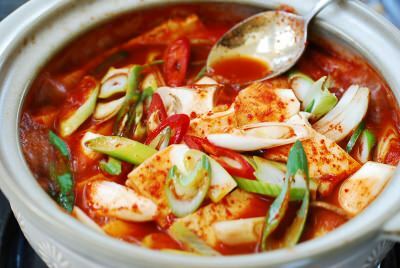 My daughter likes this version because she doesn’t have to pan fry the tofu, and it’s deliciously spicy. 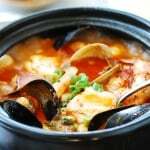 The slightly thickened, flavor packed braising liquid is so delicious mixed with steamed rice! 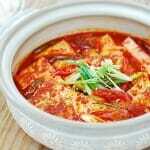 Spicy braised tofu that's packed with flavors! 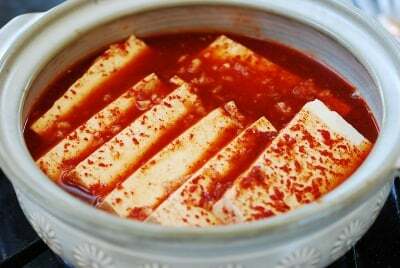 Cut the tofu into 1/2-inch thick slices. You can further cut the slices in half crosswise if you like smaller slices. 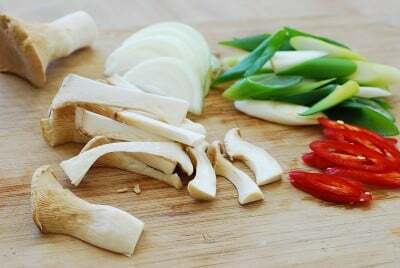 Slice the onion, scallion, and the optional mushrooms and chili pepper. 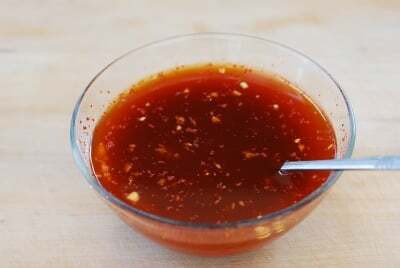 Combine all of the braising liquid except the perilla oil (or sesame oil). Spread the onion slices at the bottom of a small pot. Arrange the tofu on top, and then pour the braising liquid over. Bring it to a boil, and then reduce the heat to medium. Cook for about 5 minutes. Add the remaining vegetables, and drizzle the perilla oil (or sesame oil) over. Continue to boil for 5 more minutes. Sprinkle with the sesame seeds. You can make dashima broth by boiling a small (2-inch) piece of dried kelp in 1-1/4 cup water for 5 minutes. 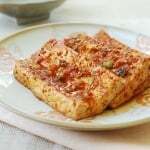 I’m with your daughter on this one – I love the fact that the tofu doesn’t require pan frying!! I added zucchini and radish. 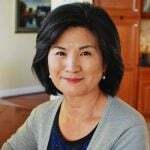 Ajumma, thank you so much for teaching me how to make restaurant quality korean food. I made this last night and it was so tasty! I’m going to make it again tonight! Annyeong Haseyo! 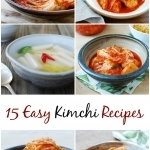 I’m a fan of yours from Philippines and Ive tried to do some of your recipes (the easy ones like Kimbap :)) But I just wanna try this recipe but Im just wondering if gochugaru is available at a any korean convenience store? It should, but I’m sorry I’m not familiar with Korean convenient stores in Philippines. THX soooo much to you.. all the recipe that you share with us, is really amazing.. first i cook korean food first time, and i follow all your measurement and the recipes. 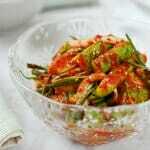 and korean people that i serve really like the food that i make with your recipe..
You’re welcome, Elizabeth! I’m so happy to hear it’s become one of your favorites. Happy cooking! I have a bad reaction to onions so I’m wondering if there is some kind of substitute you could recommend? My system and onions don’t agree and they give me migraines. I love the look of this dish, and will give it a shot with some variations I think! It’s fine to omit the onion. Enjoy! Sounds delicious! Thank you for sharing. PS: In The “Other Ingredients “ section the “1/4 sesame seeds” is missing its unit of measure. Is it 1/4 cup? Thank you. Sorry about that! It’s teaspoon. Corrected. Thanks! 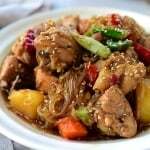 Dear Hyosun, just wanted to let you know that I could not live without your recipes! I am a Russian Korean and having moved to Britain was struggling to even figure out correct names for the Korean ingredients in English! 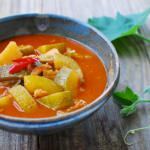 …and thank you so much for your tasty vegetarian recipes – they are so difficult to find!